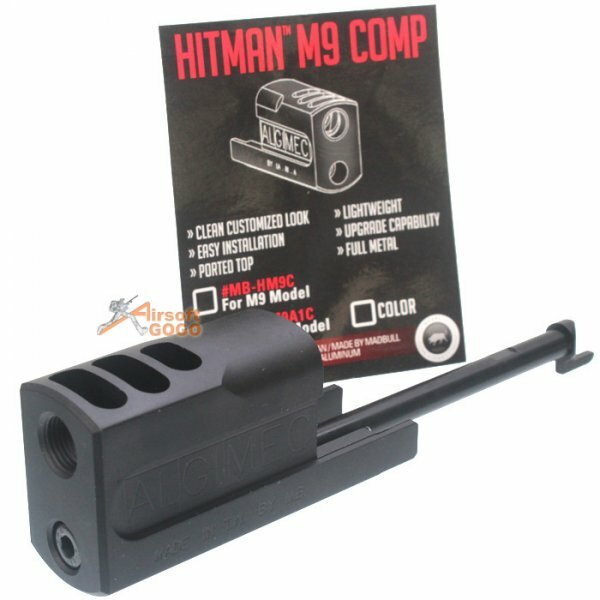 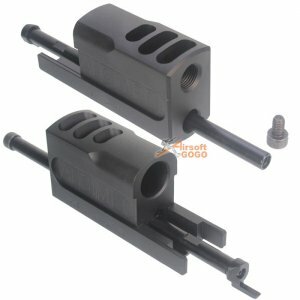 The MadBull Hitman M9a1 Compensator is a truly unique mock compensator that extends the pistol. 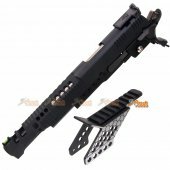 It?s ideal for easily customizing the look on your M9A1. 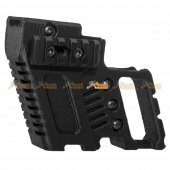 It has angled custom ports along the top and a clean ergonomic slide. 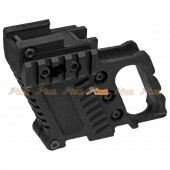 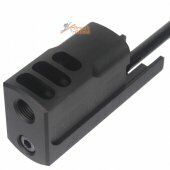 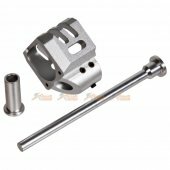 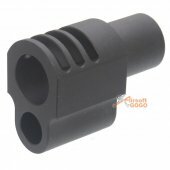 In addition, the strong aluminum construction functions as an upgrade to allow for a longer inner barrel for more range and accuracy. 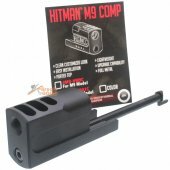 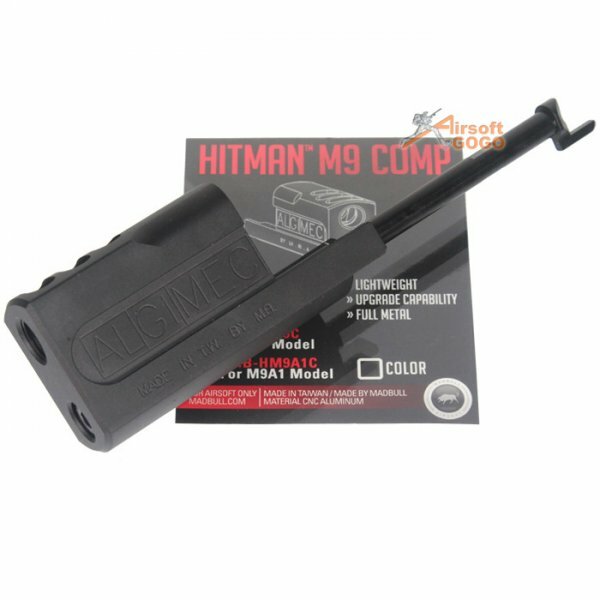 The MadBull Hitman compensator comes with an extended guide rod to create easy installation with no modification needed to the original airsoft gun. 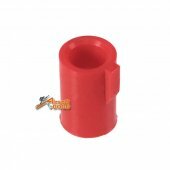 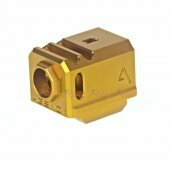 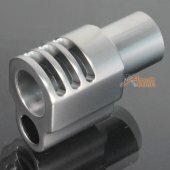 This aggressive compensator is constructed of high grade aluminum and weighs in at only 2 ounces. 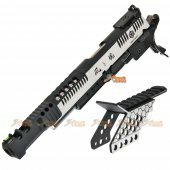 It looks great and functions without flaw.